You got a new house? and perplexed about what is appropriate interior design? 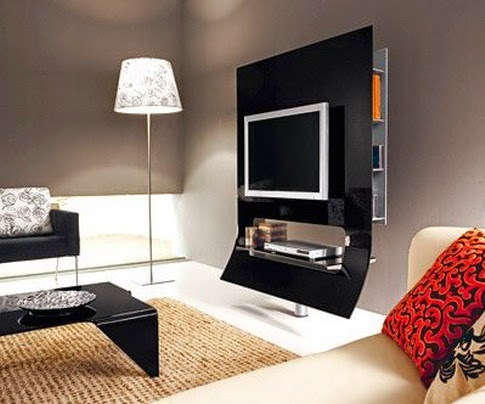 here will give inspiration though modern design ideas to decorate home and build up rooms and paint it with incredible colors, arrange sofas and TVs in living room, and do some tactics for kitchen decoration, to build stunning interior design for home. 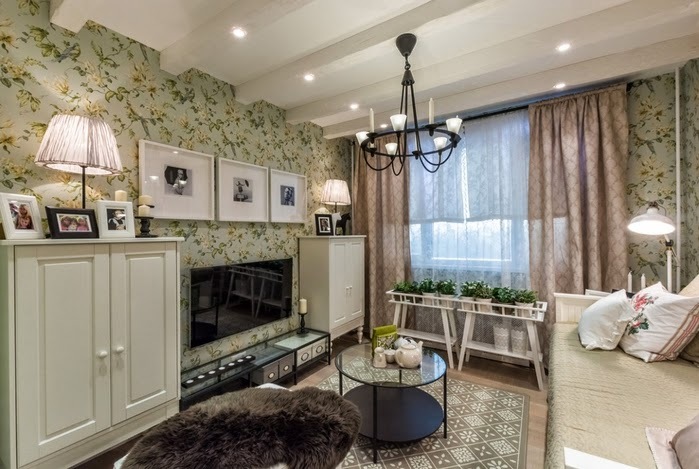 Check out the decoration ideas of Mostra Decor Lider Rio, held by Lider Interiores. All environments were created by architects and interior designers from Rio de Janeiro. Designed for a wine lover couple, this dining room décor by Glória Copello interior designer has straight lines and contemporary style. 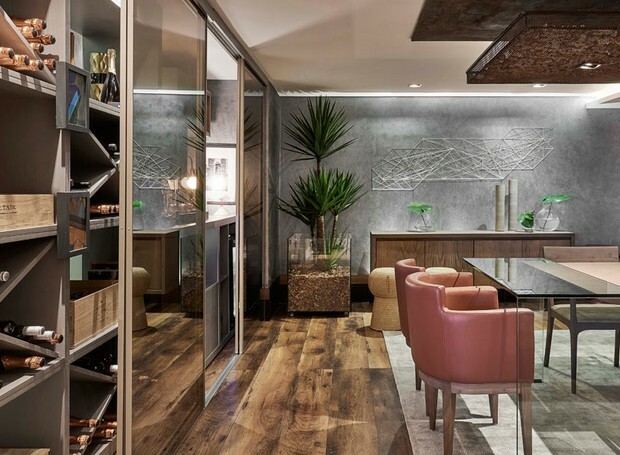 The wine cellar with sliding doors is one of the great highlights of the environment, which has 36 m². 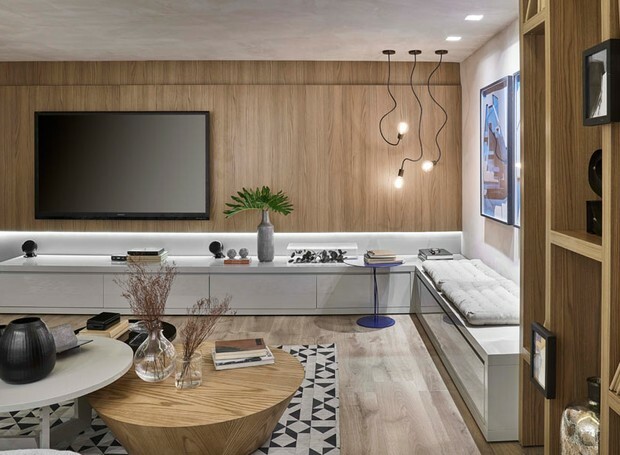 Created by the architects Carlos Carvalho and Rodrigo Béze, Studio Ro + Ca, the Cafofo is a 35 m² living room with urban footprint, straight line furniture and drawings simple. The pink sofa makes counterpoint to coatings that bring a more industrial style, forming a very interesting high-low. 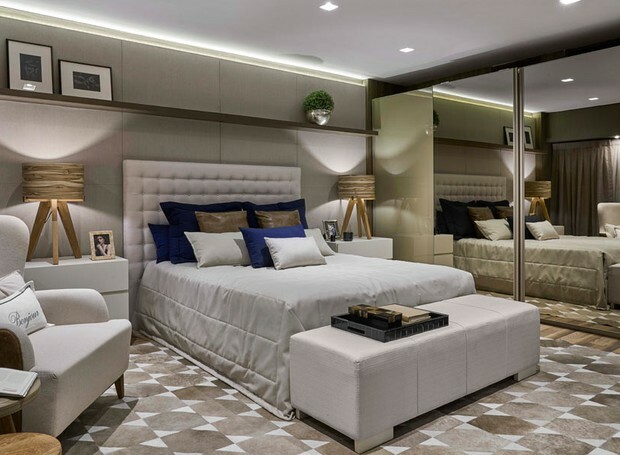 The architect Gisele Taranto bet on minimalism to create the decoration of a double room of 29 m². To bring warmth, she added warm elements such as carpet, and also invested in the mixture of textures. 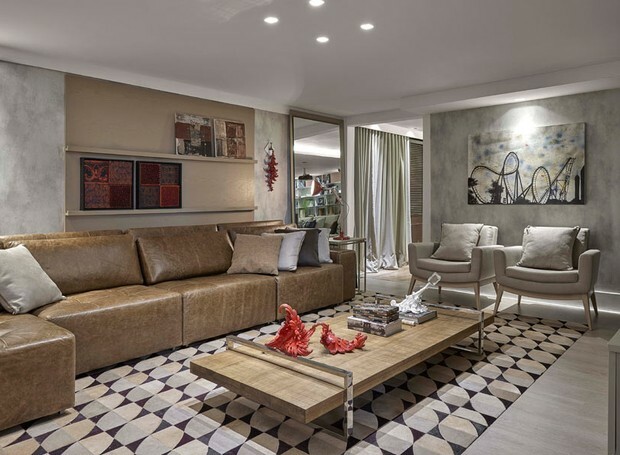 This social area, 59 m², gained a timeless style, designed by the architect Jacira Pinheiro. This living room decor was designed for a young couple who enjoy traveling and receiving friends at home. So the solution was to integrate the TV room and the dining room, both with soft shades of gray, quartz rose and eggplant. 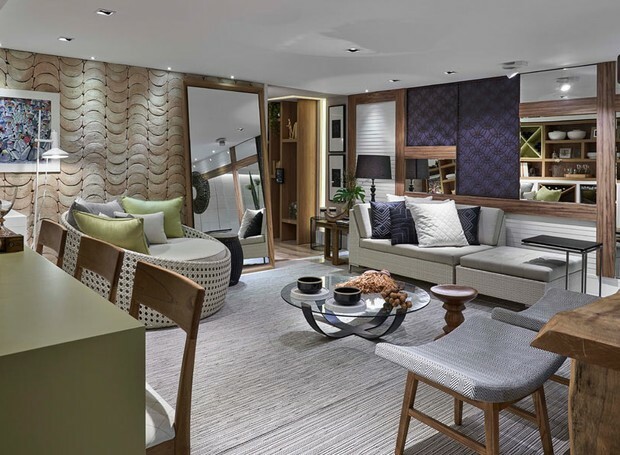 The wooden panel and the choice of furniture in this 25 m² TV room contributed to the comfort generated in the space. 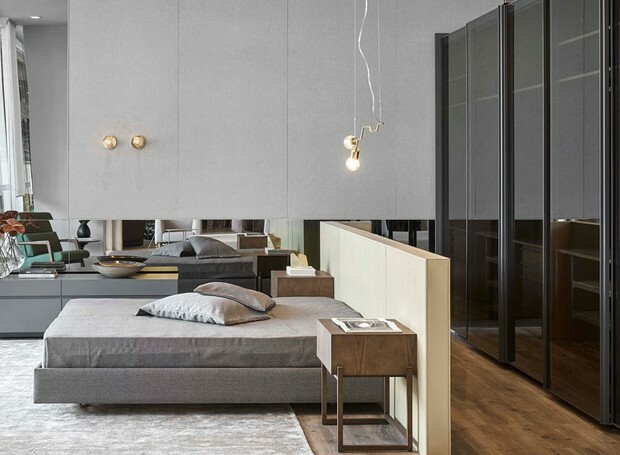 The hanging lamps and the geometric rug leave the atmosphere more relaxed and modern. Creation of the architects Monique Pampolha and Hannah Cabral. 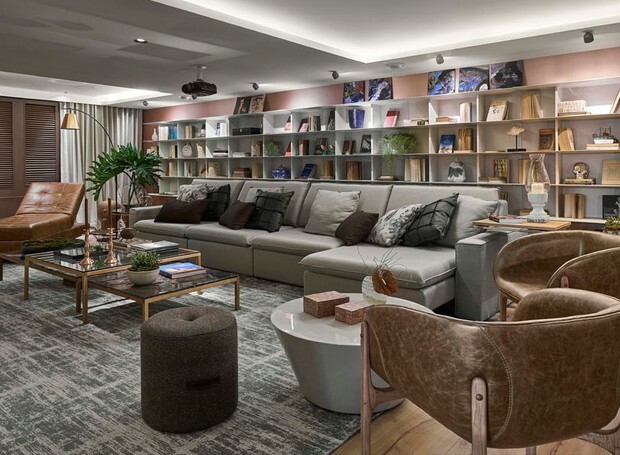 Designed by architect Andréa Duarte and interior designer Anna Malta, the 50 m² Home Theater was designed to have both living and lounge functions. 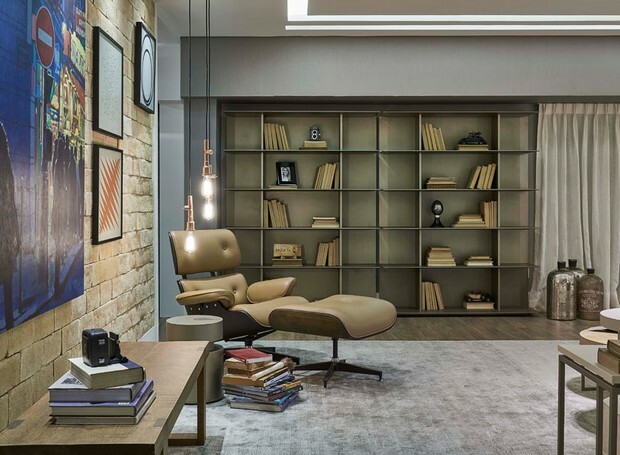 The large shelf helps to organize books and decorative objects and the fiber mat completes the environment's warmth. The architect Litsz brought the industrial concept to this TV room decor, mixed with works of art, design of straight lines and neutral tones. To do so, the professional used wallpaper that refers to the burnt cement, leather sofa and pictures on the wall, such as the work of the plastic artist Leonardo Viansa, the "Amusement Park." 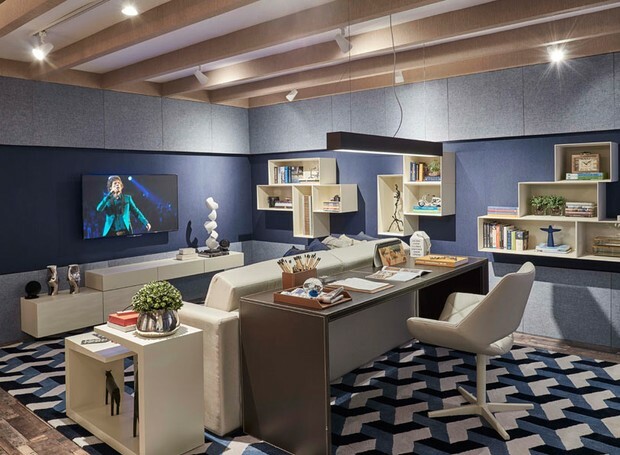 The multipurpose and family-friendly environment, created by the architect Lucio Nocito, is composed of a neutral base mixed with shades of blue and green. 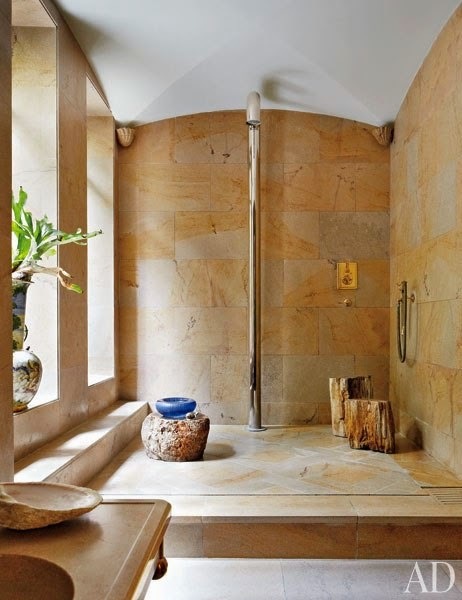 On the wall, the natural clay flooring refers to the boardwalk of Copacabana beach and brings a rustic look. As an extension of the living room, the gourmet balcony has reading corner, wine cellar, countertop and lounge. 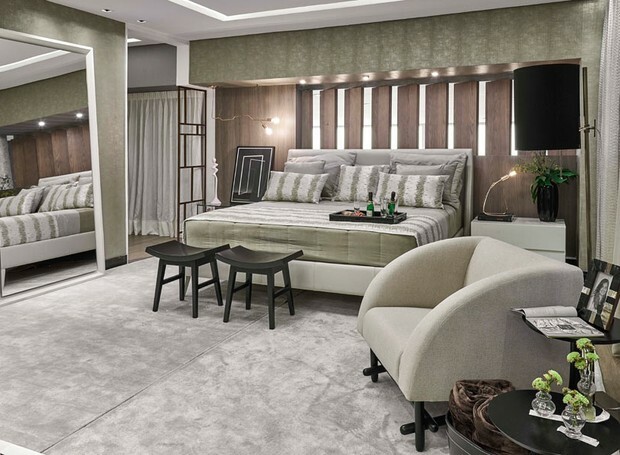 This guest room is characterized by warmth and elegance. 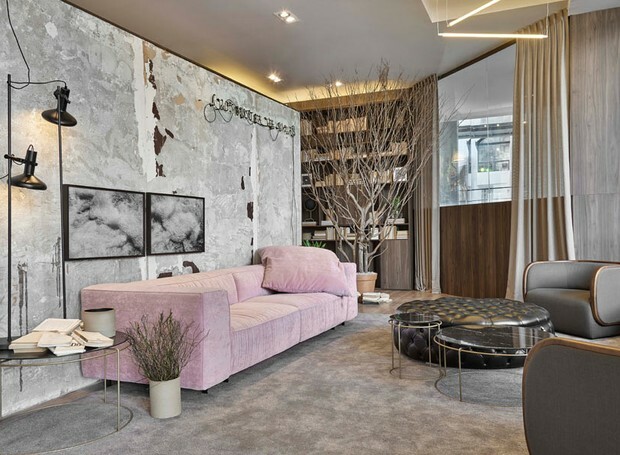 Created by interior designers Fabíola Ambrosano and Joelma Perdigão, the environment has gained a classic and neutral style, seeking to please all types of visitors. 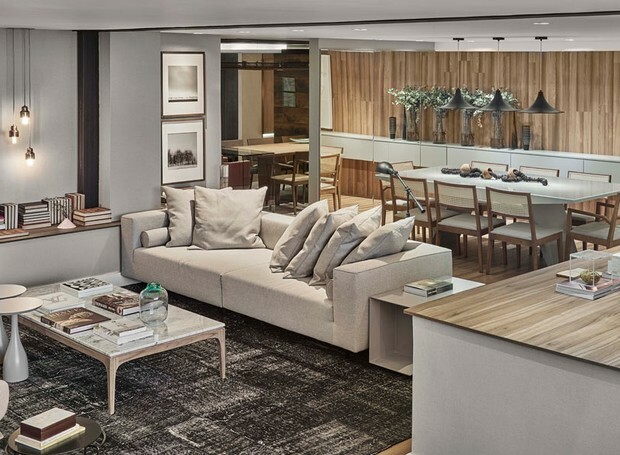 The architect Flávia Freitas was responsible for this environment of 28 m², designed for young couples who bring family and friends home. Therefore, every detail was chosen to bring a warm, practical and functional atmosphere. 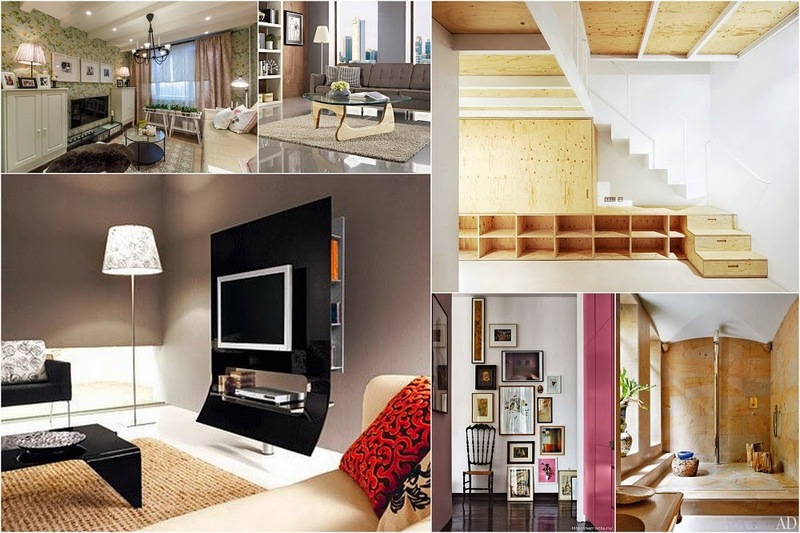 Straight lines and neutral tones enhance the timeless style of the decor. 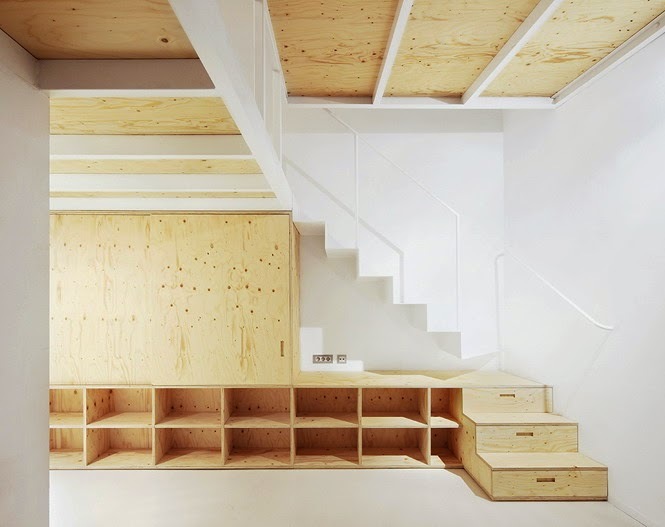 At 25 m², the space was developed to be a clean place, however, without being predictable. Thus, the architects Patricia Netto and Roberta Nicolau created a pergola in the ceiling, that sectorizes the home office . 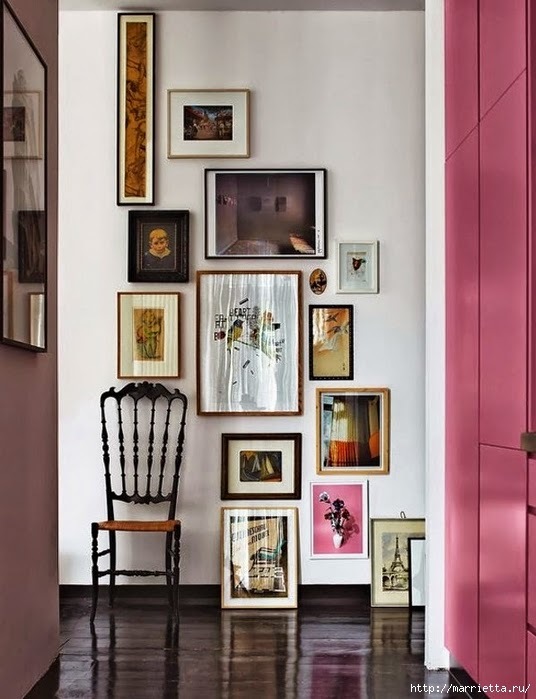 Among the colors, the predominantly blue tones make the room fun and light. Cozy and functional were the starting points for architect Carla Napolião in the creation of this double room, of 24 m². Inspired by a contemporary couple, the professional prioritized the delicate design and straight lines, in addition to the beige and gray colors, as a base. 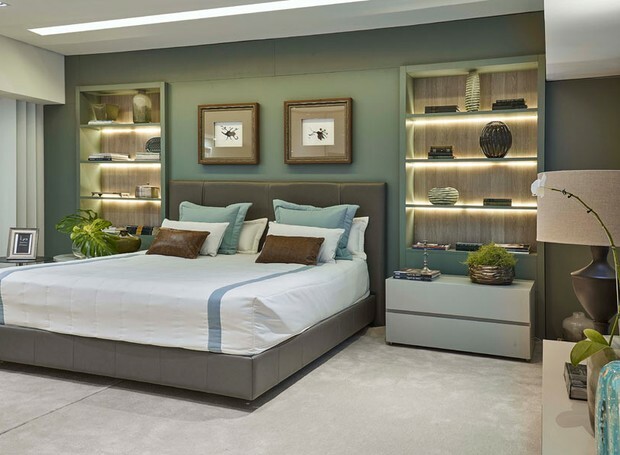 designer Lya Magalhães bet on blue-cadet, gray and white colors to compose the 32 m² bedroom. The tones leave the space light and quiet in the measure, as well as the indirect lighting, used in the shelf built into the wall.